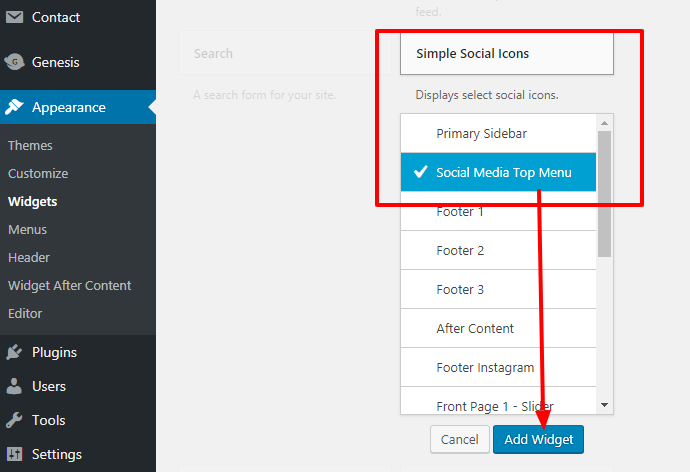 You must have “Simple Social Icon” Plugin and activate it. Go to Appearance > Widgets to arrange your widget position. Find “Simple Social Icon” widget and place it to “Social Media Top Menu”. After you add the widget, fill your social media URLs. Goodreads icon is not available for now. 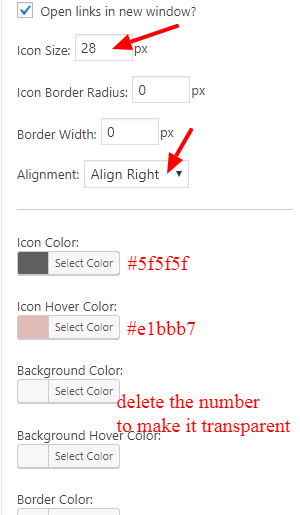 You also can change the size and the icon colors. Find “Simple Social Icon” widget and place it to “Primary Sidebar”. Re-position the widget under your profile picture.